Jacob Bridgeman got another win while Elle Johnson got her first big championship at the Beth Daniel Junior Azalea played at the Country Club of Charleston. 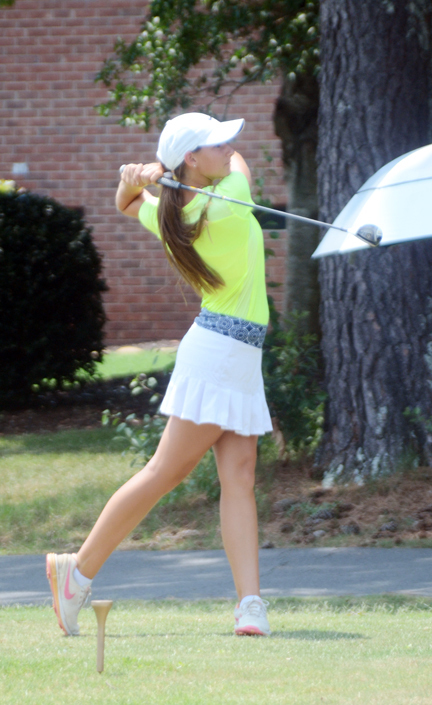 Johnson, a member of the Spartanburg High School golf team, earned her first major SCJGA championship with a two shot victory over FSU bound Kathleen Sumner of Daniel Island. The rising high school sophomore was tied with Abigail Schimpf for the lead after the first round. ”I was nervous to start,” said Johnson. “I just tried to keep my mind on my stroke. I went through the routine and controlled the emotions,” she said. Johnson played most of the round without knowing exactly how she stood in the tournament. It wasn’t until the final hole that she knew she had a three shot lead. ”I hit a bad drive on that hole and made a bogey. I had a three shot lead so I knew I had a cushion,” she said. Sumner turned in the best round of the day with an even par 72 to finish in second place. Skylar Thompson of Buford was third and Jensen Castle of West Columbia was third. “I’ve been working hard to get a win like this and I’m told it will help me get noticed. Now I’m going to get ready to have a good season playing high school golf,” concluded the champion. The boys tournament was a battle between the two junior player who have separated themselves from the rest of the juniors in the state this summer. Jacob Bridgeman, who has won several important tournaments this summer, won again claiming the boys title in a playoff with Trent Phillips who has won almost as much. Bridgeman started the day with the lead, but fell behind Phillips. The SCGA Junior champion from Boiling Springs shot into the lead on the first nine holes with a pair of birdies. While Phillips was making his move, Bridgeman found trouble and carded two bogeys on the front before his first birdie. “It wasn’t I was playing bad. I had one three putt and a bunch of putts just lipped out or I could have had several birdies,” said Bridgeman. On the back nine Phillips kept his scorecard clean with two more birdies and no bogeys. Bridgeman went on a run and made four birdies in five holes to get even with Phillips. “The putts started going in for me. I was hitting the ball closer and that had to help,” he said. Phillips had a chance to win the tournament on the final hole of regulation, but a 15 foot putt missed and the two golfers finished with identical 7-under par 135 totals. 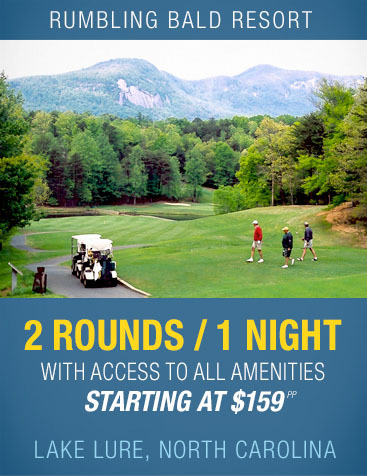 The two went to sudden death to replay the 18th hole. On the hole Phillips missed the fairway with his drive. Bridgeman missed the green with his approach. His second shot ended up on a putting green next to the 18th hole. Jacob Bridgeman will have to make extra room at his home for all the trophies he has collected this summer. After a drop, Bridgeman’s pitch hit the flag stick on a bounce and left him with an eight foot par putt. Bridgeman rolled in the eight footer for a par while Phillips could not match him and finished with a bogey. “I’m definitely not getting tired of winning,” said Bridgeman. “I’ve had a better summer then I thought I could have,” concluded the Beth Daniel Junior Azalea champion. Drayton Stewart of Charleston had the best round of the tournament shooting a 6-under par 65. A pair of Upstate golfers rounded out the top five. Nick Willis of Cowpens was fourth and Seth Taylor of Gaffney was fifth. 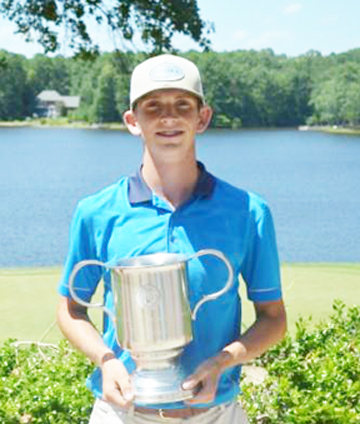 Trent Phillips has won the SCGA Junior Championship and the Palmetto Amateur. 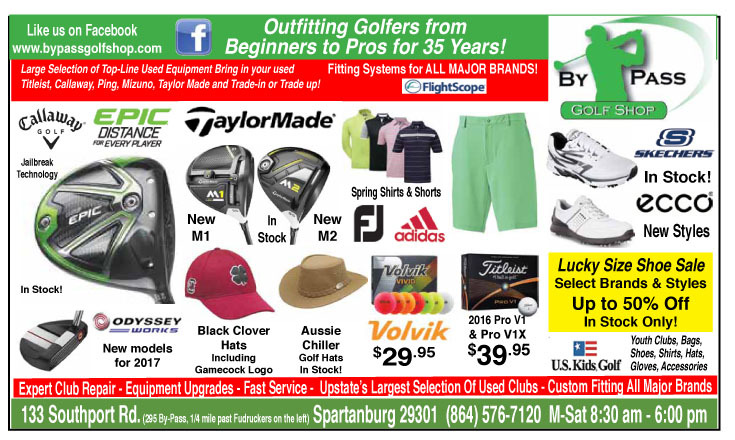 With the completion of the major events in junior golf this year the junior golfers who play out of Woodfin Ridge in Boiling Springs have collected virtually every major title available. Bridgeman, the future Clemson golfer, has now won the Jimmy Self, The Grant Bennet Junior, The CGA Carolina Junior and now the Beth Daniel Junior Azalea. 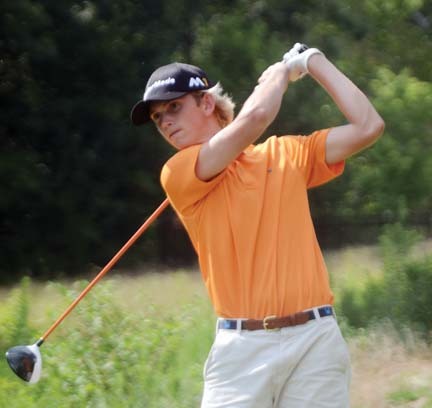 Phillips, who will play college golf at Georgia, has been a part of three straight South Carolina AAAA High School championship teams including in 2016. 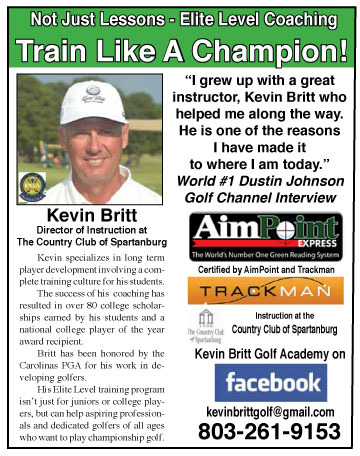 He won the South Carolina Junior Championship in June and stepped up to win a major amateur title at the Palmetto Amateur in Aiken in July. 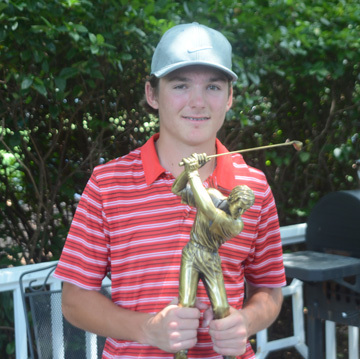 Harrison Corbin won The Blade Junior Classic at Thornblade Club. 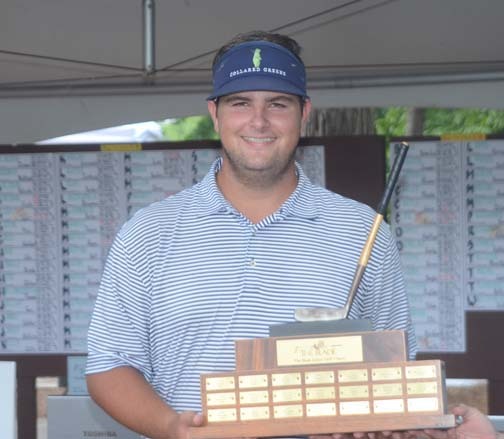 Not to be left out of the championship chase, Harrison Corbin, who committed to play college golf at South Carolina, was also a member of the 2016 AAAA Champions at Boiling Springs and brought The Blade Championship back to Woodfin Ridge.